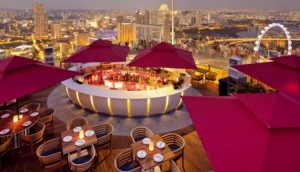 At dusk, when the world's highest observation wheel twinkles, and light-coloured buildings sparkle, Singapore's skyline creates a vibrant and inviting setting for bar-hoppers, party-goers or just anyone looking to have some fun. The island's nightlife, ranking among the very best in all of Asia, offers a wide range of enjoyment opportunities. You'll find a spectacular variety of cocktail bars, wine bars, roof-top bars, pubs, Italian cafés, live-music haunts and night clubs. Everything you need to stir up your Singapore experience.